The Turkey (Meleagrididae / Megapodiidae) is either one of two species of large birds in the genus Meleagris native to North America. Turkeys are classed in the order Galliformes. The males are commonly called toms and the females hens. A juvenile turkey is known as a poult. The usual lifespan for a turkey is 10 years . 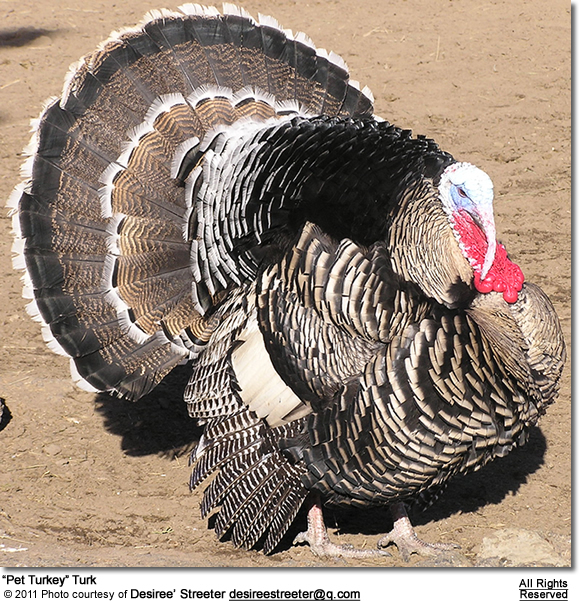 The modern domesticated turkey was developed from the Wild Turkey. The Ocellated Turkey was probably also domesticated by the Mayans. It has been speculated that this species is more tractable than its northern counterpart, and was the source of the present domesticated stock, but there is no morphological evidence to support this theory. 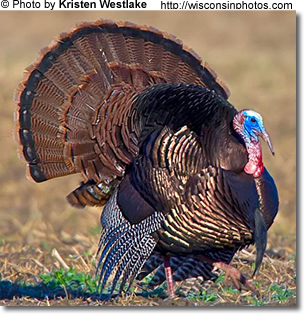 In particular, the chest tuft of domestic turkeys is a clear indicator of descent from the Wild Turkey, as the Ocellated Turkey does not have this tuft. 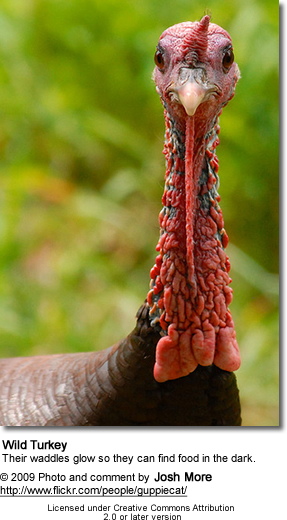 Turkeys have a distinctive fleshy caruncle that hangs from the beak, called a snood. As with many galliform species, the female is smaller than the male, and much less colorful. With wingspans of 1.5–1.8 meters (almost 6 feet), the turkeys are by far the largest birds in the open forests in which they live, and are rarely mistaken for any other species.